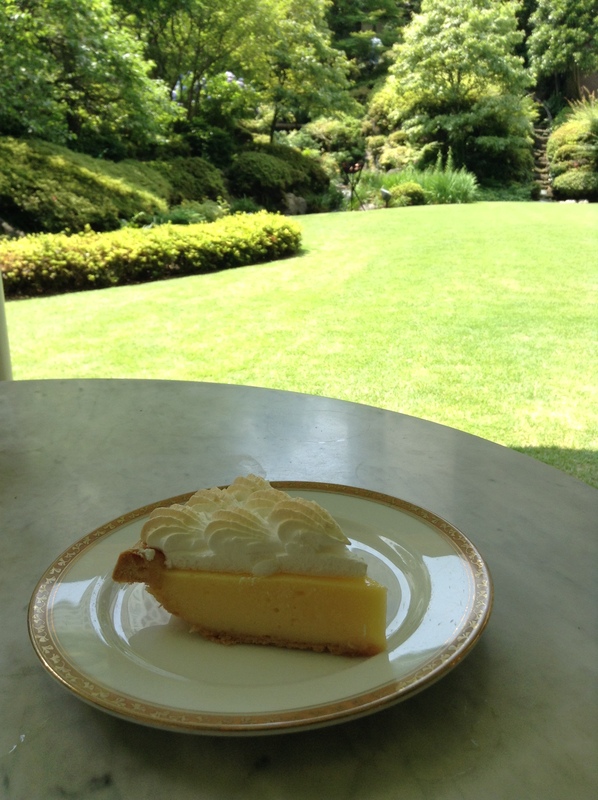 whipped cream on top; I can tell that it is magnificent, though, and I can tell that I want a piece right now. 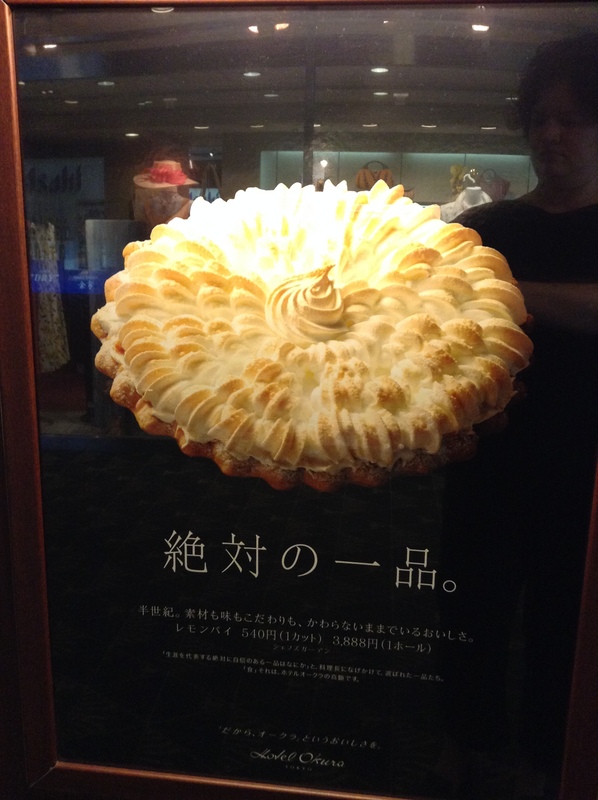 In your photo, looks more like meringue…..
Nancie-san, you the pie queen, were with me in spirit. Good question about the recipe. I am guessing it is a hotel secret as they talk about it but never offer up the recipe. The poster says that it is something you should try, they stand behind it with absolute confidence. 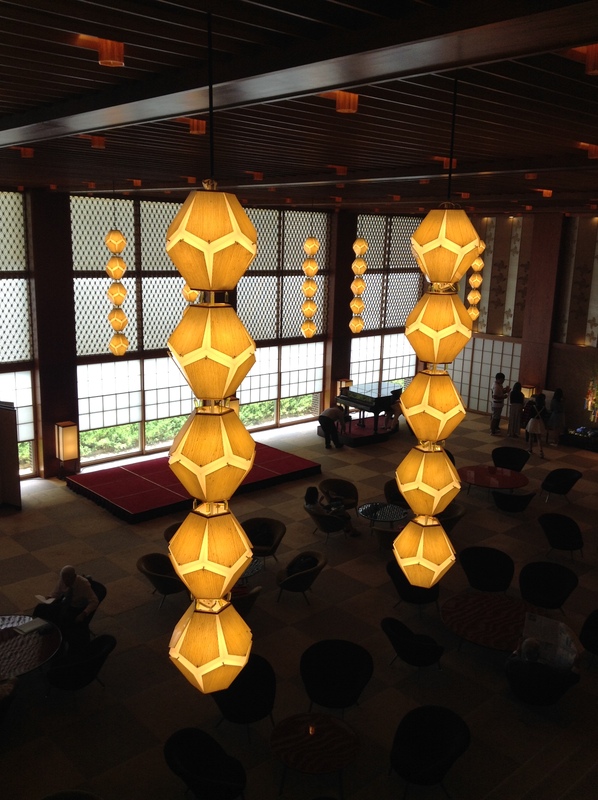 Looking forward to someday eating a piece of Nancie’s pie, and to treating you to some Japanese cuisine. Hopefully sooner rather than later. Have you been to my friend’s ramen shop in Durham called Dashi? Looks amazing! There is nothing as amazing as a good piece of cake in an enjoyable atmosphere!